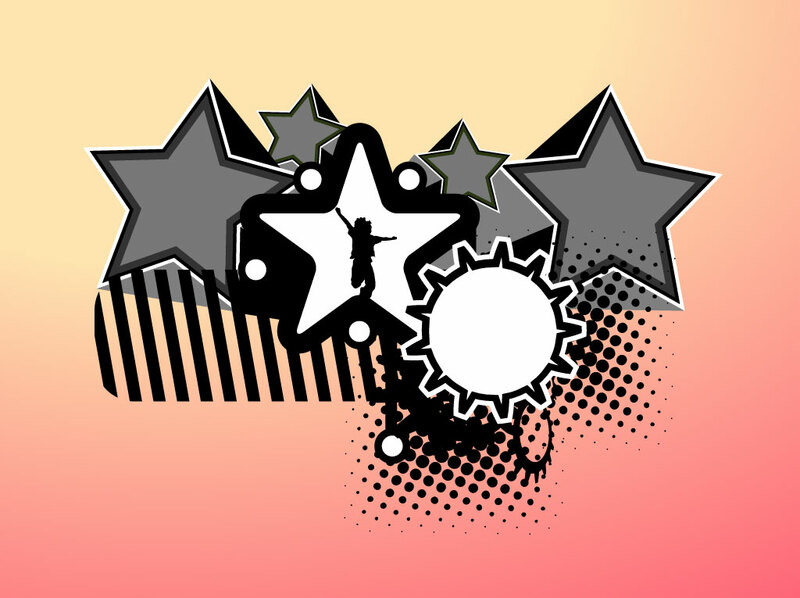 Urban style vector design with stars, star burst, halftone dot shapes and a dynamic dancer silhouette. This cool design can easily be taken to the next level by adding a grunge texture to soften it up for screen printed t-shirts. Free download for your apparel and actions sports projects. Tags: Dancer, Festive, Girl, Halftone Dots, Party, Silhouette, Stars, Woman.